Can groundhogs predict the weather? When did Groundhog Day celebrations first begin? The answer to that question is deeply rooted in American traditions as well as European cultural influences. Because of the quirky popularity of Groundhog Day, most people can recognize one of these prophetic creatures, but few people know much about them. Groundhogs - marmota monax - are also called ground squirrels or woodchucks, and they are members of the squirrel family. They average about 20 inches long and weigh between 12 and 15 pounds, though groundhogs in captivity can weigh nearly 20 pounds. Groundhogs hibernate from three to six months each year, and it is when they first begin coming out of hibernation that their weather-forecasting abilities are highly prized. Groundhog Day (or Groundhog's Day) is a mid-winter celebration on February 2. It is only celebrated in North America, primarily in the United States and Canada. As legend goes, the fate of spring rests on the groundhog's historic appearance that morning (he's an early riser, so it usually occurs before 8 a.m.) If he emerges from his burrow and sees his shadow, there will be six more weeks of winter, give or take a week based on the length of the shadow. If he does not see his shadow, an early spring is on the way. The first recorded reference to rodent weather predictions in early February is from 1841, in Morgantown, Pennsylvania. The tradition and its origins are actually much older than that, however, though the contemporary celebrations began in 1888. Groundhog Day is actually a blended cultural phenomenon with both European and Native American roots. When the German settlers first developed communities in Pennsylvania, they brought with them the tradition of Candlemas Day to celebrate the midpoint between the Winter Solstice and the Spring Equinox - always in early February. The type of weather on that day was believed to be a prediction of how much longer winter would last. The addition of the groundhog to that weather prediction came from the Delaware Indians that were also present in the same geographic area as the early German settlers. To the Delaware tribes, groundhogs were considered honorable and wise ancestors as well as spiritual guides, and consulting their wisdom about seasonal changes was common. 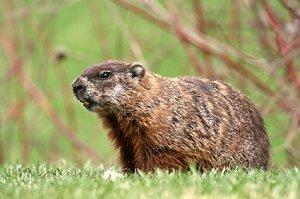 Sunny skies mean a longer winter, according to Punxsutawney Phil. To learn about when did Groundhog Day celebrations first begin in the modern sense, it is necessary to consider the pinnacle groundhog of the event, Punxsutawney Phil of Punxsutawney, Pennsylvania, approximately 80 miles northeast of Pittsburgh. In 1887, the first publicized Groundhog Day celebration and prediction occurred in this otherwise unassuming town. Thanks to rampant media coverage, the festivities have become widely known and eagerly embraced. Each February 2 since 1888, there has been a ceremonial prediction from a simulated burrow at Gobbler's Knob, and that is considered the "official" groundhog prediction for the year. Modern festivities often include music performances, art shows, story telling, fundraiser breakfasts, fireworks, ice sculpting, comedy shows and more to entertain the up to 30,000 guests who may attend the event.These events are organized by the Punxsutawney Groundhog Club's "Inner Circle," the local officials responsible for planning the festivities as well as caring for Punxsutawney Phil and translating his annual prediction, often into fun rhymes or poems. So, when did Groundhog Day celebrations first begin? While the official predictions may have begun in the 1880s, you can start your own traditions at any time by planning a celebratory party to commemorate this quirky holiday. 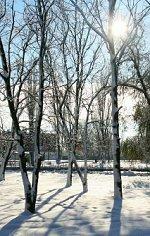 That festive spirit will last far longer than the snow and cold, no matter where the shadows fall.